Although the legislation appears to have died in committee, it is important that activists across the country become fully aware of the “benefit corporations” strategy because the sponsoring nonprofit B Labs Corporation is introducing the same boilerplate legislation in all 50 states. Indeed, such legislation has already been passed in Maryland, Vermont, New Jersey (home of “conservative” and global-warming believer Chris Christie), Virginia, and Hawaii. And the same tactics that were used successfully in those states will be employed elsewhere, beginning with glowing news stories about how these new corporations will be all about creating societal benefits rather than raking in cash — which the following articles will prove is an outright lie. As is so often the case when federal or state legislative bodies are in session, the 2010-2011 NC General Assembly has set about promulgating new decrees at a breakneck pace. To be fair, some of the proposed laws aim to repeal or push back the oppressive and soviet-style measures taken by earlier assemblages. But even putative Republican conservatives seem to joining in the push for more regime control over private enterprise at a time when their primary goal should be repealing current tyrannical legislation. Case in point: Senate Bill 26, known as the “North Carolina Benefit Corporation Act,” sponsored and/or co-sponsored by two Democrats and two “Republicans.” Although it’s currently in committee and might not make it to the floor for a vote, its mere presence is a dire warning for what we can expect in future proposals to dictate our business affairs and our personal lives. A more honest appraisal regarding a BC’s profits can be found in the online version of the Durham Herald-Sun in a piece of fluff/stenography called “Proposed law for ‘good’ business” written by a bankruptcy lawyer (at least they used quotes around “good”). “…the benefit corporation legislation does not require social goals to outweigh a profit motive. Rather, it requires that the benefit corporation make a material positive impact on society and the environment as measured by a third-party standard…. “Section 55-18-40. Standard of conduct for directors. (2) The employees and workforce of the benefit corporation, its subsidiaries, and suppliers” (there are several other items listed, but you get the idea). So there is no mandate that profits must be sacrificed, only a provision that they may be sacrificed. With that falsehood exposed, let’s see what the proposed law really says. “Section 55 18 30. Corporate purposes. (a) A benefit corporation shall have as one of its corporate purposes the creation of a general public benefit. A benefit corporation may include in its articles of incorporation other corporate purposes, including the purpose of engaging in any lawful business. Not much help, I know. So let’s try to discern what these phrases really mean. Providing low-income or underserved individuals or communities with beneficial products or services. Promoting economic opportunity for individuals or communities beyond the creation of jobs in the normal course of business. Preserving or improving the environment. Three takeaways here, all very important. First, almost any business activity would qualify as having a “material positive impact on society.” You could make the case that a whorehouse has a “material positive impact on society” in that it creates high-paying jobs and facilitates the creation of other employment opportunities and business creation such as hotels near to and limousine services to and from said brothel. On a more serious note, couldn’t any business that ended up hiring unemployed people claim that it had made a “material positive impact on society?” Of course it could — but note that the wording is “society and the environment, taken as whole.” That’s the sticky wicket. 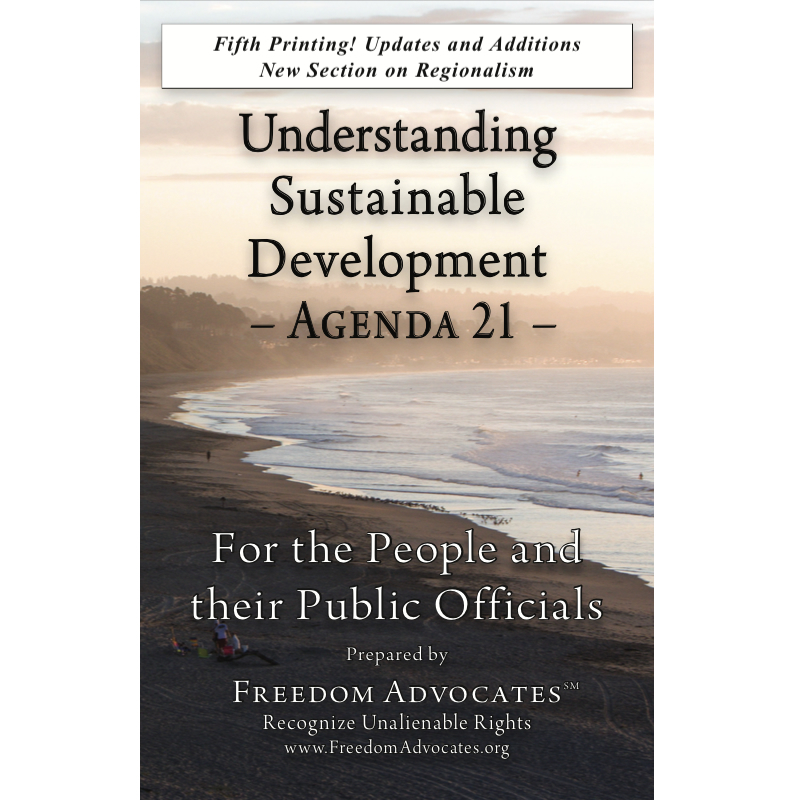 It’s also what makes this bill more about “sustainable development” and the implementation of Agenda 21 than might seem apparent at first blush. Ergo, the second point: Who decides if a business meets this forked-tongue qualification? The text doesn’t say: It merely refers to a “third-party standard.” Who sets and administers that standard through business audits? Lastly, a company that cobbles together a “general public benefit” can then add as a “specific public benefit” the financing of other BCs. In Part 2, we’ll examine why that codicil opens up a whole can of crony-capitalism schemes and take a look at who’s really behind this bill, what they stand to gain from it, and why it could be very bad for you and me. Here are the links to Part 2, Part 3, Part 4. As a graduate of Wake Forest University, Stephen Poole emerged from that institution as a zombified collectivist incapable of critically analyzing the socialist shibboleths with which he’d been indoctrinated. After awakening to the untenable nature of his “beliefs,” he’s now an individualist who believes in truly free markets, Constitutionally limited federal government, the eminence of personal liberty, and unalienable rights granted by God. Discover more information on the steps you can take in opposition to Benefit Corporation legislation in your state. See Wynne Coleman’s article, B Lab’s Benefit Corporations Won’t Benefit You.